A group of experts and financers believe that the financial supports for the country's cultural products still have much potential for further exploration, especially in an era when digital technologies have been growing far beyond the imagination. Fan Zhou, dean of the Cultural Development Research Institute of the Communication University of China, highlighted the challenges facing the cultural industry during the China Cultural Finance Summit -- Annual Meeting for Investment and Financing of Beijing Cultural Industry, jointly hosted by the PBC School of Finance, Tsinghua University and Beijing's Dongcheng district, taking place in Beijing on Dec. 6. In his speech, Fan raised the following key questions: How should we upgrade the fundamentals of our culture industry and create a completely new outlook for it, and how should we adapt ourselves to the use of 5G and new internet technologies? At the same time, he warned that, the financial services are welcome, but not for arbitrage purposes. Gao Zheng, an inspector from the industrial development department of the Ministry of Culture and Tourism, said the cultural industry has maintained stable growth. According to Gao, the industry's added value grew from 1.8 trillion yuan (US$260 billion) in 2012 to 3.4 trillion yuan in 2017, an average annual rise of 14 percent, contributing almost 6 percent to the growth of the national economy. "The cultural industry has become a new driving force, a new engine behind the economic growth. In addition, it also facilitates the adjustment and advancement of national economy because of its less-polluting, high-tech and low carbon nature meeting the standards of the green economy," Gao said. Yet, the experts agreed further improvement was needed when comparing China's culture industry with that of the United States. During the past few years in China's case, it has contributed 4 to 5 percent to the gross domestic product (GDP), while, in the United States the figure has been around 18 percent, according to Tong Zhilei, CEO of Chinese All Digital Publishing Group Co Ltd, an online publishing platform listed on the Shenzhen Stock Exchange since 2015. "Therefore, the industry in China is still immature," he said. "The means by which the success of Hollywood in becoming a cultural center is actually through the way it collaborates with its syndicate partners." However, Ye Heqing, CEO of the Shanghai division of Film Finances Inc., pointed out that the inconsistent operations in China's filmmaking process may hamper the partnership between studios and financial institutions. "While shooting a film, the processes should be more professional, standardized and transparent," she suggested. However, Ye believed that, no matter how hard it is for the Chinese filmmaking industry to progress, there is always hope and opportunities, especially among younger generations. Chris Edwards, CEO of the Third Floor, was in total agreement. The tech-design firm has been working for many top-ranking Hollywood films and TV series, such as the "Game of Thrones" season six, for which they adopted computer diagramming and animation to produce stunning war scenes. "I was inspired nine years ago, in Shenzhen, by the people that I met in a film festival," recalled Edwards, a regular visitor to China. He was told how much they like some of the movies on which they were working and how they wanted to use the available technologies to make movies. "Today, this is an exciting time, a new era, for everyone of entertainment," he said. 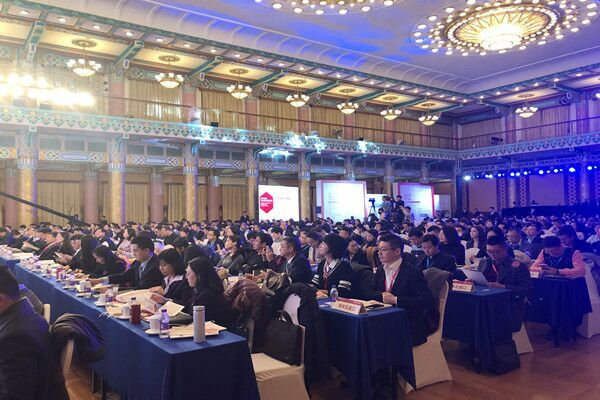 China should boost its cultural industry through diverse fundraising approaches, various scholars, financers and government officials said while addressing the China Cultural Finance Summit.